After I found out what the litigants truly wanted and I did some pushing and shoving and jawboning, more often than not, agreements were reached. The threat of an imminent jury trial -- with its expenses, complexities and uncertainties -- was often enough to bring the parties to a quick, sensible and relatively inexpensive resolution. Occasionally, flattery -- even fatuous flattery -- helped. But it takes place in secret. I could not imagine announcing to the public the state of the negotiations or my opinions of any of the negotiators midstream. If compelled by some arcane custom to do so, I'd have praised the unpraiseworthy -- to help bring about a favorable result. 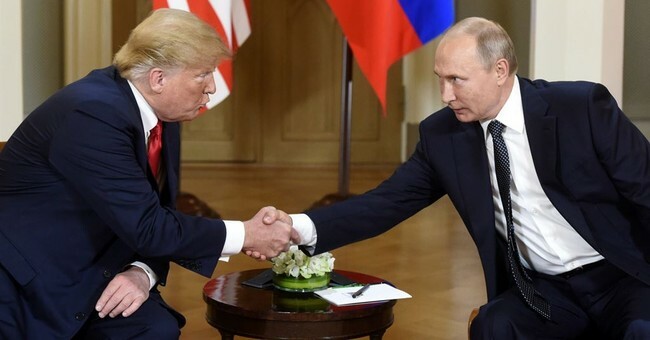 I was reminded of all this earlier in the week as I watched the politically unpopular performance of President Donald Trump at an internationally televised -- and now much-analyzed -- joint news conference he held with Russian President Vladimir Putin. This realization has led Trump -- in defiance of the advice from his own secretary of state, CIA director and national security adviser -- to try to understand Putin and to negotiate with him. Stated differently, Trump knows how to negotiate, and his skills cannot be assessed midstream -- because midstream is often muddy and muddled. Trump's efforts this week were just a beginning. His public praise of Putin and giving moral equivalence to Putin and our intelligence services were not to state truths but to influence Putin's thinking in order to bend Putin's will -- eventually -- to his own.